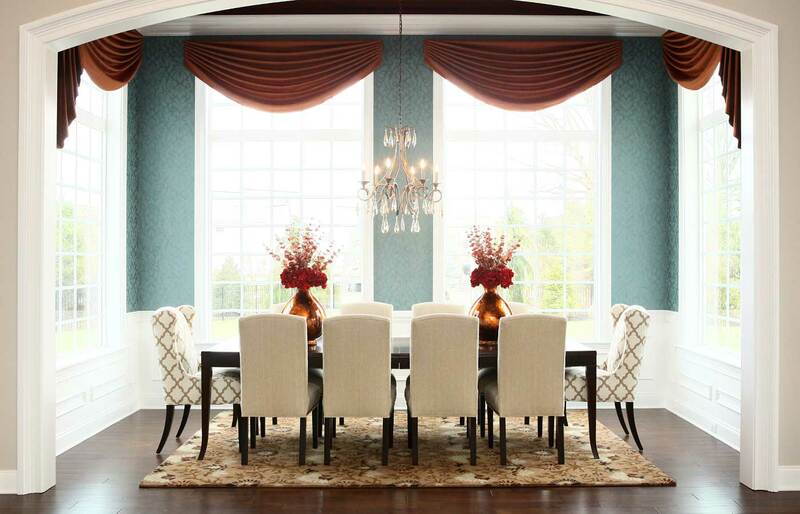 A delicate balance and simplified symmetry are exemplified in this fresh yet formal dining room. 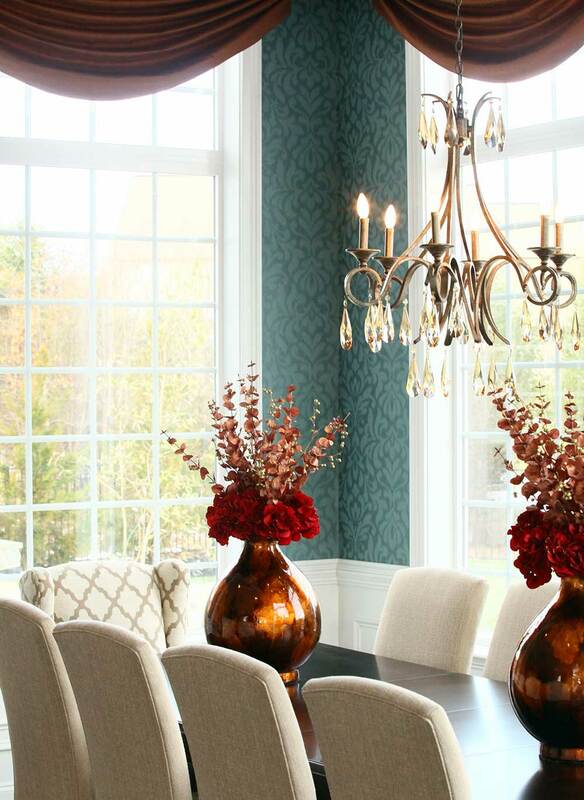 Though a former sun room, the tailored window treatments mounted high above floor length windows accentuate the client’s desire for a grand and elegant atmosphere for dining experiences. The large room feels oversized, while remaining bright and youthful.